Alpaca garments were once reserved only for Incan Royalty. 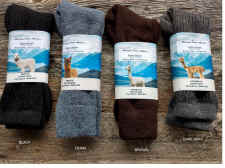 Today, you too can experience the luxurious softness of alpaca! 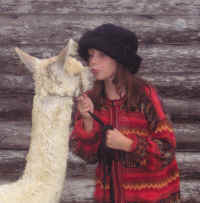 Indigenous to South America, the alpaca is raised for its soft fleece. This fleece is sheared once a year and is processed into wonderful, soft, hypo-allergenic garments (sweaters, socks, gloves, hats, capes, blankets and more). Wednesday through Sunday, 10 AM to 6 PM. Closed Monday & Tuesday.